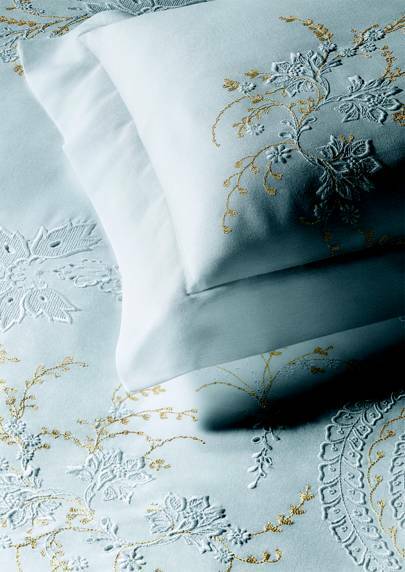 There was a time in centuries past when linen and its embroidery was part of an important right of passage. Inextricably tied, for many women who had begun work on their trousseau containing all the linen they would need for their married life as teenagers, to hopes and dreams of their future. In the 18th century linens had begun to be monogrammed simply for functions sake, generally in a Gothic or Roman script. But as the century progressed, as with any type of artisanship, its execution became increasingly complex and expressive. 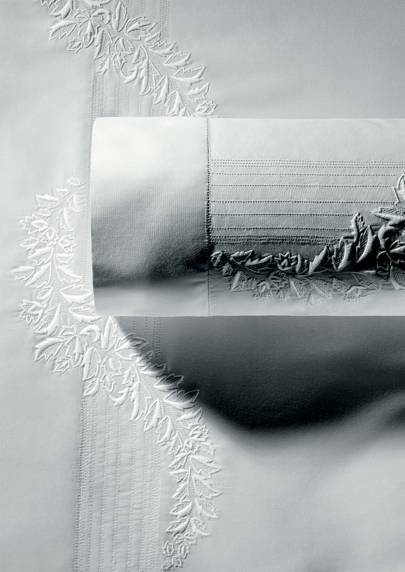 A distinction was made between utilitarian work made with “point de marque”, and white embroidery. The latter was a means of not only embellishing the piece, but of proving the refinement of the woman who had made it. Cut to the 19th century and embroidered monograms, and the workmanship involved in their execution, had became a symbol of status. Of course now very few of us have either the skills or the time to do it ourselves, but there is still something heavenly about hand embroidered linen. Because it is one of the few fabrics that actually gets better as it ages, hand-sewn embellishment and personal details can turn something functional in to an heirloom. 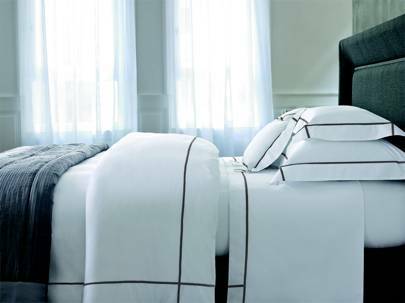 No one knows this better than Yves Delorme, a French company who have been providing linen to designers, architects and Royalty for over two centuries. The company was founded in 1845 by Ernestine Fremaux and her husband near Lille, in the heart of French textile country, and is a member of France’s prestigious Comité Colbert. Customers have been returning to them for generations for beautiful quality homeware, embroidered by hand with everything from a simple initial, to a family crest. The company can execute almost any design imaginable, but it is worth for inspiration going to one of their stores and flicking through their archive of past work. Towels, bathrobes and sleepwear, all of which they do equally well, can also be ordered embellished with your chosen design. 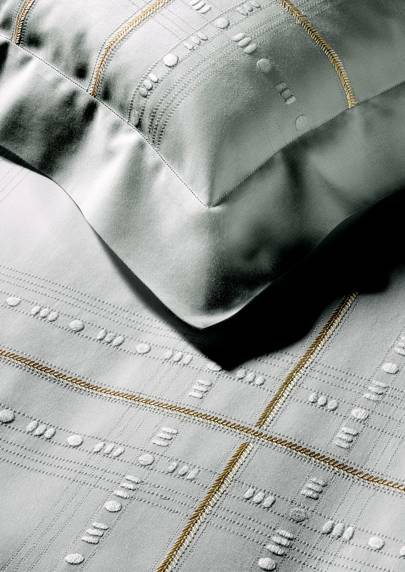 If monogramming isn’t your thing but embroidery is, the company’s ‘Couture’ collection of embroidered bed linens are really exceptional. Hand-made on a traditional loom in the Hauts-de-France region of France, their designs are based on historical patterns. While modernist, or those after something more simple, should turn to their SS18 collection, for elegant embroidered edging and designs inspired by the natural world.